Home > Questions-Answers > How can I choose a good prophylactic for my situation? How can I choose a good prophylactic for my situation? Deciding on what type of preventive medication to start depends on many factors. The choice of preventive medication needs to be tailored to meet each person’s individual needs. Before deciding on a preventive medication, it is important to discuss your other medical problems with your doctor (such as depression, obesity, anxiety, high blood pressure) even if you do not think they are related to your migraine headaches. You should also discuss all medications that you care currently taking, including prescription drugs, over the counter medications, herbal preparations and supplements, as they could interact with a particular preventive medication. • Ask your doctor what you should expect from taking this type of medication, ie. Should it help reduce the severity or frequency of your headaches, and when should you expect to see a change in your headache pattern. • Remember you have to start low, go slow and increase the medication as you tolerate, which means, the effect of the medication might be seen until after weeks to months of use…so remember, you have to be patient and give it a fair trial! • If you are not tolerating the medication and you start to have side effects that are bothersome, contact your doctor to discuss changing your medication. • Consider how often you have to take the medication, some medications are 3-4 times a day, whereas others are once daily. Find a medication that works well with your schedule, because if you are not taking it as often as you should, then it’s not likely to work for you. • Remember all medications have side effects, some more tolerated by people than others. It is important to know what to look for, especially if the side effects are serious. • Remember that all of these medications have a different cost. Find the one that works best with your budget. • Remember, not all drugs work well for everyone, what works for you might not work for someone else. You may need to try different types to find one that works best. 7. Migraine during pregnancy: avoid drugs if possible. If not, consider- Magnesium, Propanolol, Metoprolol, Amitriptyline or Nortriptyline. Please note, Valproic acid and Topiramate should be avoided in pregnancy due to the known risks associated with the fetus. 8. Migraine during breast-feeding: avoid drugs if possible. If not, consider- Magnesium, Propanolol, Nadolol, Metoprolol, Amitriptyline, or Nortriptyline. If you have tried a preventive medication and it has not worked for you, don’t give up hope! 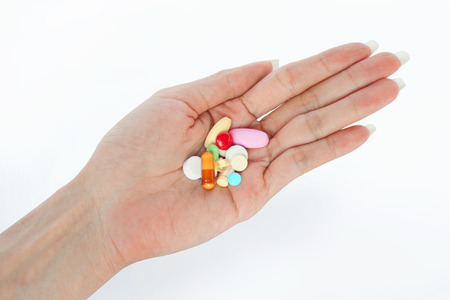 There are many different types of medications and your doctor can help you find the one that will work best for you! Remember, you have to give the drug a good trial, which often can take up to 8-12 weeks.